The Leibstandarte had been engaged on all fronts from 1939 to 1945. Their Flak units had followed the development of the Standard which allowed the Flak to become a powerful divison. This highly illustrated guide provides a detailed, engaging account of a war on numerous fronts through the eyes of a vital German unit. 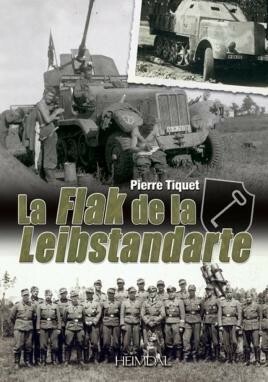 Unfortunately, due to sales rights restrictions, we cannot offer La Flak de la Leibstandarte for sale in your country.